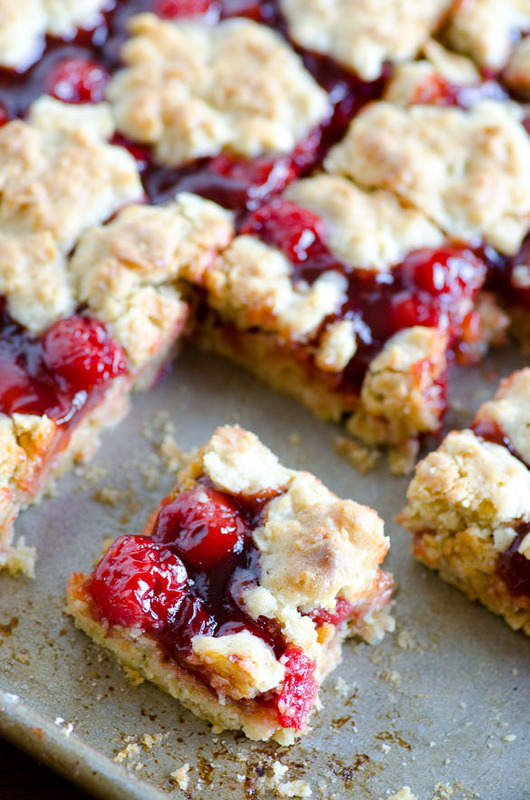 These cherry cobbler bars are simple and sweet with cherry pie filling and the great, unique taste of Musselman’s Apple Butter. How about a new spin of cherry cobbler? 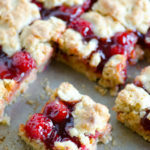 Today, I am sharing a fun way to eat cherry cobbler as cold individual bars or warm and gooey with ice cream — you choose! First thing is first: Can someone tell me what makes cobbler a cobbler? How do you distinguish it from a crisp or crumble? After a quick Google search, I found that there are actually various opinions out there on what defines a cobbler. Some say cobbler only has one crust. Others say cobblers are baked with biscuits on top, creating a cobblestone street appearance. Another says a cobbler is baked in a deep dish. These may all be true, so I’ll decide to agree with every one of them. What I know is definitely true about cobbler is that it is in the pie family. That said, it seemed only appropriate to simplify this recipe with using canned cherry pie filling. Quick and easy! Because I love love love apple butter, I also stirred in a few spoonfuls of my favorite Musselman’s Apple Butter to enhance the complexity of sweetness with the cherries. Such a simple addition with grand results! 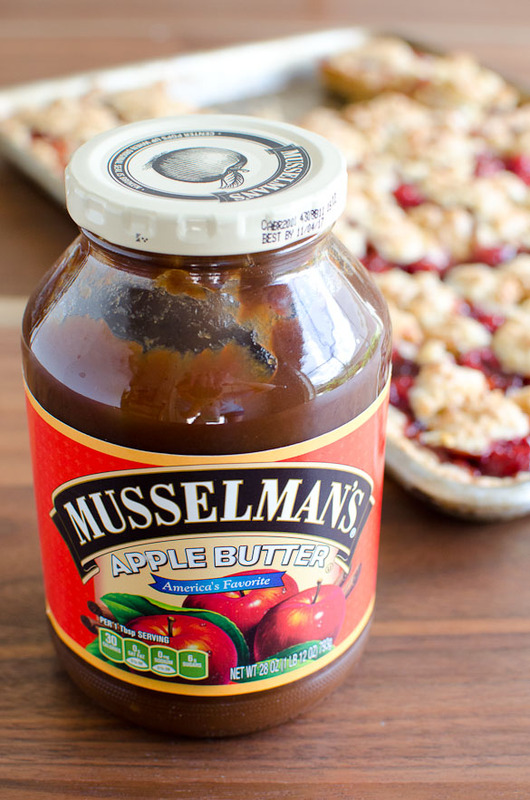 I love using Musselman’s Apple Butter as more than just a spread in many recipes. 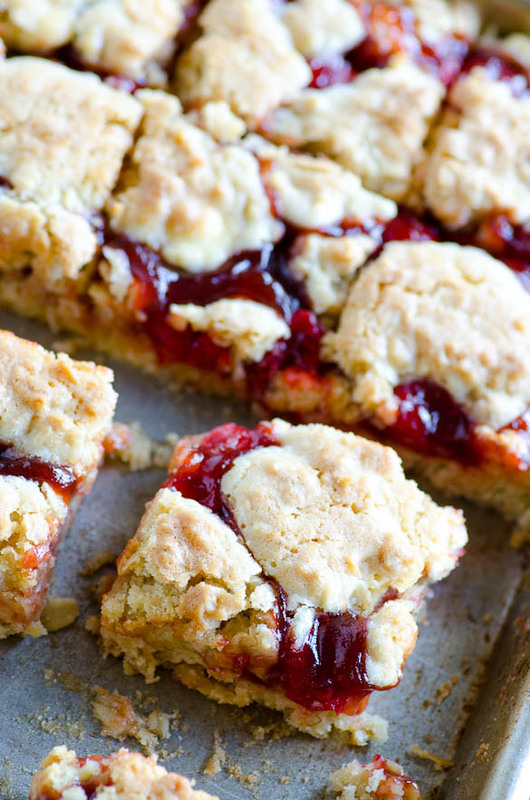 This cobbler has an oat based crumble and is baked in a shallow rimmed baking pan. Let them cool completely and then cut them up to eat cold as bars. Or, warm them back up and top with ice cream. Either way, you’ll want seconds. 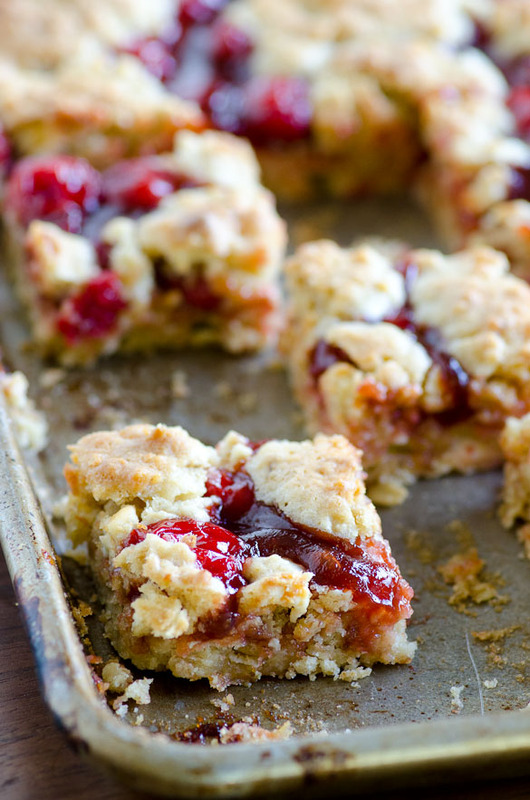 These cherry cobbler bars are simple and sweet with cherry pie filling and the great, unique taste of Musselman's Apple Butter. Preheat oven to 350°F. Position rack to center of oven. Cream together the butter and sugars in a large mixing bowl for two minutes at medium speed. Scrape down sides of bowl as necessary. Add eggs, one at a time. Mix in the vanilla. In a separate mixing bowl, combine the flour, baking powder and salt. 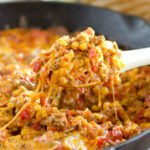 Add to the wet ingredients and mix until just combined. Mix in the oats and then the white chocolate chips. 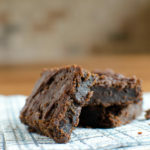 Press about two-thirds of the batter into a thin layer in a greased jelly roll pan; set aside. In another mixing bowl, stir together the cherry pie filling and apple butter. Spread evenly over the layer of batter in the pan. Scoop the remaining batter evenly over the pie filling. Bake for 30-35 minutes, until golden. 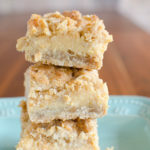 Let cool completely before cutting into bars, or serve warm and gooey with ice cream. Disclosure: This post is sponsored by Musselman’s Apple Butter. All opinions are my own. Thank you for supporting the brands that I love. It was so great meeting you, Allie! 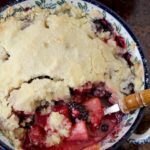 I don’t know what makes cobbler a cobbler either, but this one looks delicious! Practical or not, these bars looks delicious! I’m sure I would prefer these over the original tart! So much easier! !